If you are one among who uses Messenger and WhatsApp a lot, then you are one who uses Emojis a lot. You, Me and A lot of other people use Emoji to express simple feelings while chatting. You can express different emotions through different Emojis available on various Messenger apps for both Android, iOS and pretty much any other. Did you know that you can also easily make Emojis yourself, With the help of Free Emoji Maker Apps? Today, in this article, you will learn to create Free Emoji yourself with the help of some cool Apps. As of June 2017, there are more than 2,666 emojis in the Unicode Standard. In certain situations, Emojis are mostly used than text. In the recent update, 69 new Emoji were introduced, a lot more Emojis are yet to come in the future updates. Now, let’s get into our topic. 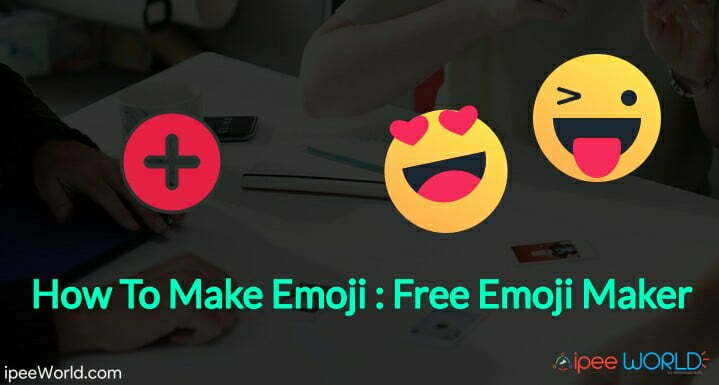 Today I will be sharing the list of top best Apps for making Emoji or simply Best Emoji Maker Apps. It will be really cool to have your own Emoji, right? So, let’s see How to create a brand new Emoji all yourself. 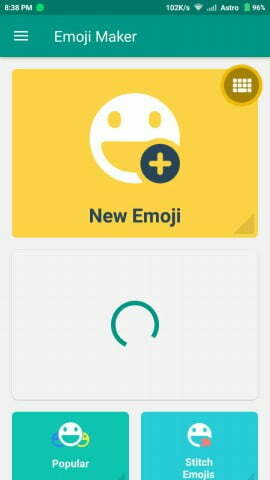 You are required to download some apps which allow us to create stunning Emojis in minutes. So, let’s get started. Moji Maker is a free app that let us create Emojis of our wish in just matter of seconds. This app was first only available for iPhone users, later it rolled out for Android users as well. This is one among the top app for creating Emojis yourself. I added this app to the top of the list because of the simplicity and great features it offers. Learn how to create your own Free Emoji with Moji Maker from below. First of all Download the App from the link below. Yes, it is simple, Available for both Android and iOS. 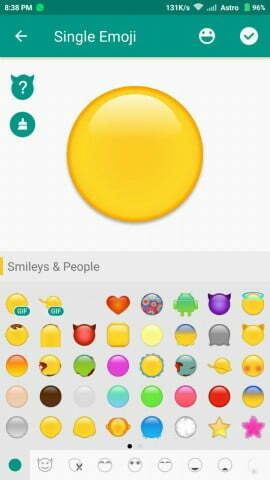 Once you download and open the App, you wanted to select a Base template for your Emoji. Once, you do that, later you can add different detailing to the emoji face. Now, move to the next tab and select different eyes, expressions, eye brows, Lips etc, and make it the way you want it to be like. Once, everything is done, you will get an option to save it. And also, if you want you can also share it to any Social Media or Messenger. The best part about this app is that it let you choose the Size (Resolution) and then save the Emoji. Yes, you can save it to your phone as an Image file. This is exactly how you create Emoji with Moji Maker. Another interesting Application for creating Emojis your own is Bitmoji. 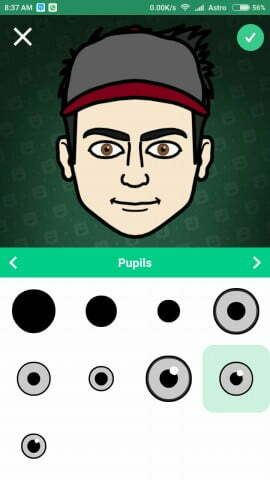 Bitmoji is an app that is similar to MojiMaker, available for both Android and iOS devices. After the huge success made by Bitmoji, Snap Inc, acquired Butmoji and integrated it with Snapchat allowing users to add stunning Emojis to their Snap right from the App itself. Apart from Emojis, this App let you create Avatar of any human you like. Let’s see how to play around with this app and create your very own first Emoji. Download Bitmoji for your phone from the link mentioned below. Available for both Android and iOS. At first, you will be asked to create a new account or Login with Snapchat. Then, you will be taken to page for creating your first emoji. You can select your desired Face, Eyebrows, Lips, Hair and pretty much everything and create your Emoji. 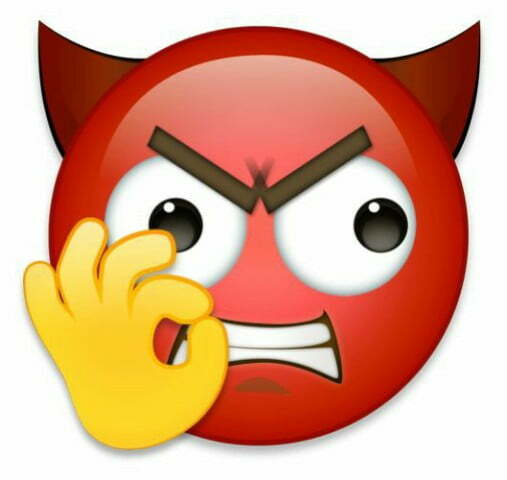 Here is one such basic Emoji that I created. If you want, you can also create full-size emojis with Hands and legs. You will also get access to a library of tons of Emojis, You can download and share them anywhere. New Emojis are added every single day!. Do you want to create Emoji with your or your friends’ face? If yes, then this app is just for you. EmojiFace is a cool App available for iOS to create Custom Emojis with real human faces. The working of this app is simple. Follow the simple instructions below to get started with Emojiface. Firstly, Download the App from the App Store. It will ask you to add a Photo. Now, you will see some suggestions of Emojis based on the photo you gave. That’s it simple and easy process, right? Makemoji is an app like MojiFace which is only available for iOS devices. If you have an Android device, then move onto the next app in the list. This one is a simple App with Simple options to create your own Emojis. Download link is right below. Download the app from the link above. Save and share the Emoji with your friends. Bobble Keyboard is funny App that lets you create Emojis from your own Photos and Avatars. You can either take a selfie or add your own Photos to the app to make Emojis of your choice. In short, this app let you to convert your normal pictures into Emojis, Stickers, or even GIF Files. The best part about this app that I like is the ability to make GIF Stickers, I am sure that you will love this feature, too. Again, this app is available for both Android and iOS Devices. Download the App from the link mentioned above, and explore it yourself, It’s just a piece of cake. So, these were some of the most used Apps for making your own Emoji. Pretty much every Emoji Maker Apps mentioned in this article is available for both Android and iOS, so, It doesn’t matter which phone you have, whether it is an Android or iOS device, you can make Emojis with these Apps on your phone. Download the App you like the most and then read the instructions to get started with the App. It’s so simple as a piece of Cake. So, Hope you guys enjoyed and found this article useful. Be sure to share this article with your friends on any social media and let them know about this cool Emoji Maker Free Apps, too. Top 10 Extraordinary OTG Cable Uses That No one Knows!